We initially wanted to try Subang Teo Chew Bak Kut Teh, but when we reached the place at 1pm, everything was sold out. Not wanting to waste our long drive, we settled for Ah Seng Bak Kut Teh just up the road. Our Bak Kut Teh came piping hot, in a claypot. The soup wasn’t as flavourful or as thick as the Teluk Pulai version, or my regular BKT place at SS3. While the pork ribs were tender and falling off the bone, the pork belly wasn’t as good – the layer of fat was still hard and chewy. I don’t like chewy fat; it makes me queasy. We also ordered some fu chuk, which came in a claypot. The fu chuk had a nice crunch but the lackluster broth didn’t do it justice. It tasted ordinary to me. I didn’t dare order the claypot mushroom, because I reckon it would come with the same broth. Lunch came up to about RM40 for the 3 of us. 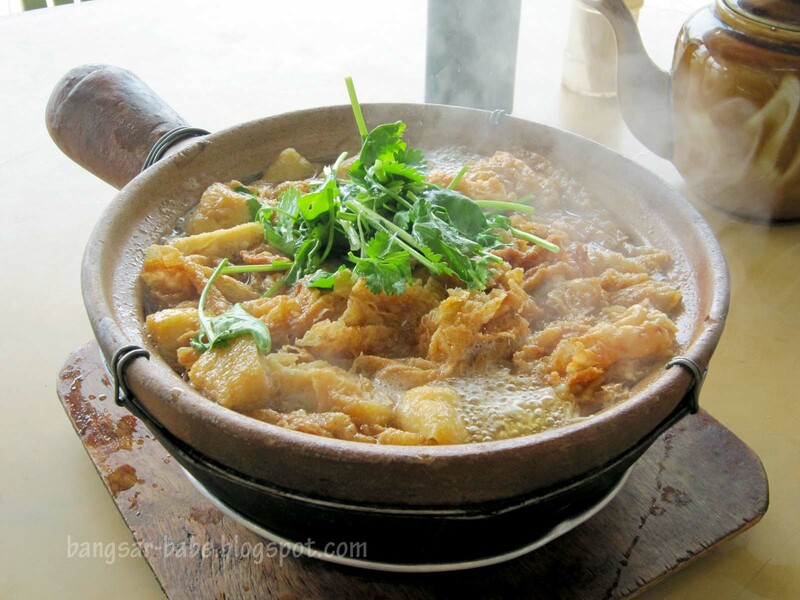 While this wasn’t the worst bak kut teh I’ve eaten, it was nothing to shout about. 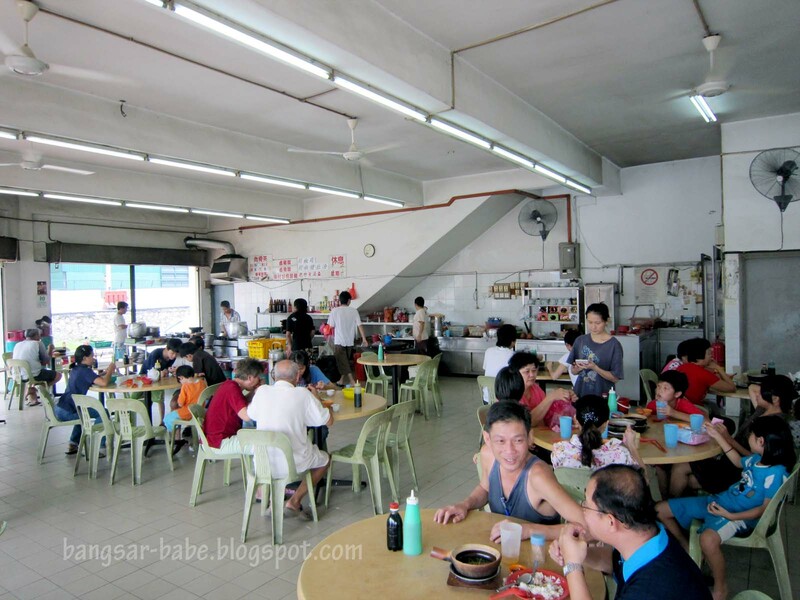 Next time, I will make sure I get there by 11am, to try the much talked about Subang Teo Chew BKT. Verdict: The Bak Kut Teh was run of the mill. *I forgot to take the namecard, so I don’t have the address. 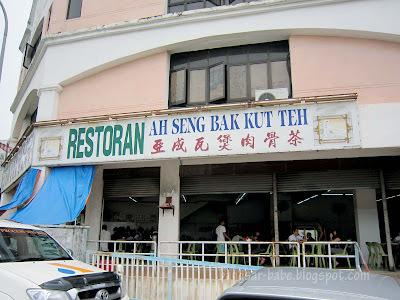 But you will pass by this shop before you get to the famous Subang Teo Chew Bak Kut Teh. hmm… went there for lunch occasionally when wanna have BKT, coz near my office… but i dunno there's this subang teo chew BKT wor… further down? firstly…i am so sorry that i am out from blogging for weeks and did not visit here. so sorry. work really killing me off lately. vialentino – Ya lor…miss seeing you around. Hey, add me on FB again. Can't find you la! Dennis – It's about 500 meters away. Corner lot. Hmm, if you're seeking for a BKT broth with really robust flavours from the herbs, then Teo Chew style might not be your pick. The soup would be clearer, almost like 'ching tong' with a pepper-ish hint. 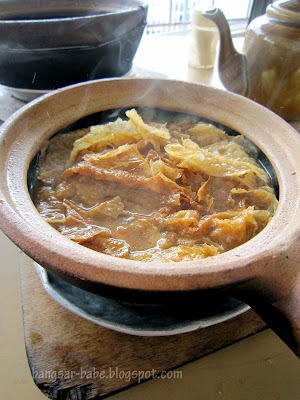 Hokkien style BKT is better, especially the ones served in bowls from Klang.